This 2017 edition will focus on highlighting recent results in fundamental biology, as well as considering the future of the field and the implications for the type of science that can be considered along with the instruments required. This meeting typically gathers mixture of researchers some of whom are experienced in the field of neutron scattering with others whose work may benefit from these approaches. 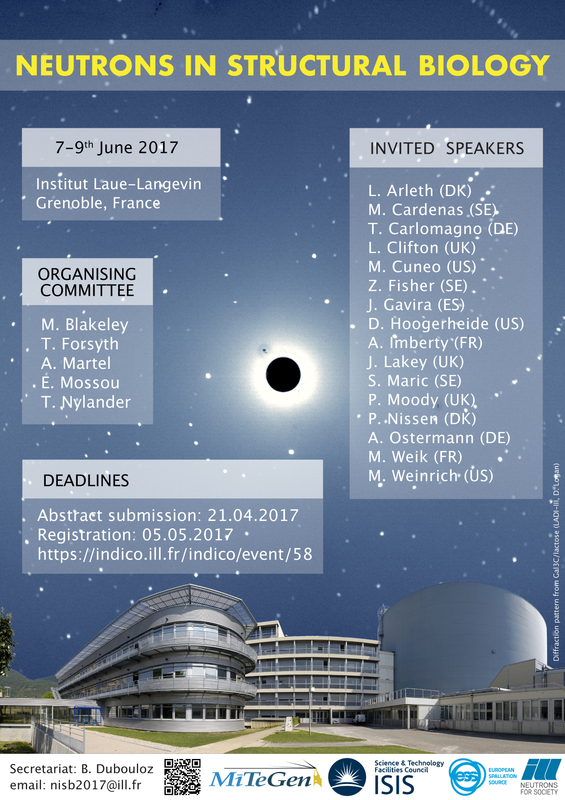 Further details are available on https://indico.ill.fr/nisb2017 <https://indico.ill.fr/nisb2017>. The flyer is available in attachment along with the list of invited speakers. The deadline for abstract submission is the 21st April 2017, registration deadline is 5th May 2017.